I enjoy reading this, but man, for the sake of your sanity I think you need to make this Two Years of Trek. More and more I'm on Team Pike. I am going through the grind part of the year right now. The animated series will go by quick which will help me catch up and once I am in TNG, DS9 and Voyager I should be able to do 2-4 episodes a day. I can binge those series easily. Enterprise is certainly one of the weaker series but I didn't mind it that much. I felt the 3rd season to be meh but actually enjoyed the final season. First two were hit and miss with some great episodes mixed in with a lot of duds. I think it is one of those cases that it is was just the way things went back then, but it seemed to be on pretty thick. Pike had the romance part in his episode too but when he looked at a woman he wasn't giving her the creepy eyes. And they're fleshing out his character based on a couple of bits from "The Cage," namely the scene in Mojave and just why the Talosians picked a biblical depiction of Hell to punish him with. Loving the updates Kazar, and the spreadsheet is great. I hadn't made that connection at all, that's pretty cool! Started season two this week. Was able to watch 13 episodes, one short of my goal of 14. Doing a quick look at where I stand, as of February 2nd, 2019 it is 33 days into the year so I should be at 66 episodes. I just finished episode 42 meaning I am 14 episodes behind which is one week. There were some really good episodes this week. The season premier Amok Time introduced the Pon-Far. The Pon-Far is brought up in future series with Tuvok and T'Pol. The episode Mirror Mirror shows an alternate reality where the Federation never formed but instead the Empire, an evil version. The alternate universe makes a few appearances in DS9. I, Mudd was a silly but funny episode that I recommend watching just to have a good laugh. Doomsday machine was one I remembered as a child that was fun to watch. The Enterprise fighting space creatures tend to be goo ones. Journey to Babel introduces Serek and his relationship with Spock. The red shirt death count went through the roof this week. Multiple episodes had more then one red shirt die propelling it into a comfortable lead. The standings are now Red: 20, Blue 7, Gold 6. TOS S2E2: Who Mourns for Adonais? Finished TOS Season 2. It took almost exactly 2 weeks to get through it. I enjoyed it for the most part but it did have a different feeling then the first season. I felt that a third of the episodes weren't really science fiction episodes but either time travel episodes to the 20th century or they find planets that have developed to technology equivalent to 20th century Earth, many times due to contamination by some corrupted starfleet officer or Earth literature left behind on the world. The season did include a few space creature battles and even revisited some characters or themes from season one (Ex: Harry Mudd). There were 3 or 4 episodes this season where they end up on a planet that mimics Earth almost exactly. One planet was run by a series of mob bosses fighting each other where they learned how to make cars and guns using literature left behind. Another planet is still in the Roman era but with 20th century technology. And yet another is mimicking Nazi Germany. The season introduced the mirror universe, an alternate dimension where the Federation is called the Empire and civilization developed around the concept of greed and selfishness instead of altruism. The mirror universe will be revisited by other series and are always entertaining to watch. Uhura had a few episodes where she would use her musical talents but for the most part she was just playing the communications officer with little to no character development. I was surprised that Sulu was only in about half of the episodes. Many episodes had a different person at the helm. I found that episodes with Scotty generally didn't have Sulu as usually one or the other would be given the conn when Kirk and Spock went on an away mission. This season didn't develop the character at all. This season introduced the character Pavel Chekov in the role of navigator aboard to the Enterprise. They developed the character as a young Kirk like character who is always providing facts about Russia, even when they aren't facts. He added a witty humor element to the series. Scotty had a more significant role on Season 2. He would be left in command of the Enterprise when Kirk and Spock would go an an away mission, and usually have to get involved in cat and mouse tactics with other ships like the Klingons. He also is more involved in his role as Chief Engineer and in the Tribbles episode even defends the honor of the Enterprise by starting a fight with a Klingon. Spock had a few episodes where we was able to portray a different character or a different side of Spock. In the first episode he had to deal with the Pon Far which caused him to have emotional outbursts. He was taken over by an alien consciousness which wanted to kill everyone aboard the Enterprise. He smiled more this season. Spock is definitely my favorite character so far. McCoy is McCoy. He is Spock's arch nemesis in the way of words always fighting Spock's logic. On away missions he generally acts as the emotional side while Spock plays the logical side leaving Kirk in the middle. This season it is even more so. Kirk this season got a little less womanizer and a bit more on the exploration of new worlds and civilizations. Now there is still once per episode where a women walks into the room and they focus on Kirk's eyes looking at her and her looking back at Kirk, but there were many episodes where Kirk ignores this keeps on mission which is an improvement for him. This season, red shirts won by a clear margin. There were 19 red shirts that died to only 2 blue and 1 gold. Two thirds of them died in three consecutive episodes though, with most episodes having no deaths. IIRC George Takei was off playing in a movie (US propaganda John Wayne-em up Green Berets) for a good chunk of the second season. A lot of the "mirror Earths" episodes were due to budget constraints. 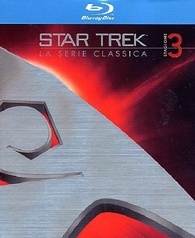 The second season is probably better than the first overall, IMO, but it does focus on Kirk/Spock much more and kind of ignores the rest of the crew (Scott gets more time because Sulu is not there for a lot of it and Chekov is there because they left out the Russians in the first season's cast - his haircut is explicitly supposed to evoke the Beatles ). The first season had much more of a "we are on this big spaceship with all these people doing all this stuff" feel to it. Yep, and lines written for Sulu in those episodes were swapped to Chekov. According to this, I should have started season three on January 27th, 2019 and for today, February 10th, 2019 I should be on the animated series already which is 29 episodes from now. If I can catch up I am certain I can maintain the needed pace, so the challenge for the end of February is to catch up. Weekends I can binge, and I get presidents day off. This will be a tough few weeks. Regarding this weeks episodes, the obvious must watch is The Trouble With Tribbles. It is often considered one the best original series episodes. I also recommend A Piece of the Action which has Kirk and Spock in a Chicago mobster scenario with some good humor and the episode Patterns of Force was the episode where they had to deal with Nazis. I also enjoyed Return of Tomorrow since it let us see Leonard Nimoy play a different kind of role. Red shirt deaths this week was tamer then the previous week with four red shirts to one blue and zero gold. You do realize that the photo you posted there wasn't an original series photo, right? It's from the excellent DS9 episode "Trials and Tribble-ations", in which the cast travels back in time to covertly help Kirk with the events of that TOS episode. In the picture, you can see Bashir and O'Brien. Poor guy #3 and guy#4 got erased from history! The choice was on purpose. Given what we know from DS9, this is the new original for me :). First week to achieve the goal of 14 episodes watched. I am a little past the third season halfway mark. I was hoping to get a little ahead this week but the game Anthem came out that ate a bunch of time. This week had an episode that was both ridiculous and great at the same time. "Plato's Stepchildren" had some scenes where Kirk and Spock were played as puppets which was silly at best but the content of the episode dealt with prejudices and bullying. I do put a warning that there is a scene where Kirk is forced to kiss Uhura that was hard to watch. Other good episodes are Tholian's Web, The Enterprise Incident and Specter of the Gun. Four red shirts died this week with no deaths from gold or blue. Unless the next week has an explosion in a science lab or a command training session, it looks like red shirts will win by a blowout in the Original Series. TOS S3E5: Is There in Truth No Beauty? Almost two months in and I finally finished the Original Series. While I did enjoy the overall experience, many episodes I had never seen or only remember piece of, I did feel that it was getting old. Most of the stories were rehashes of other stories. This season alone had 3 episodes almost back to back where the Enterprise or some planet was dealing with a viral or bacterial outbreak and needed some resource from the planet of the week. Overall I felt season 3 was the same as season 2. No real character development and more monster of the week type stories. The one thing I did enjoy about this season over previous seasons is seeing Spock get the spotlight a bit more. 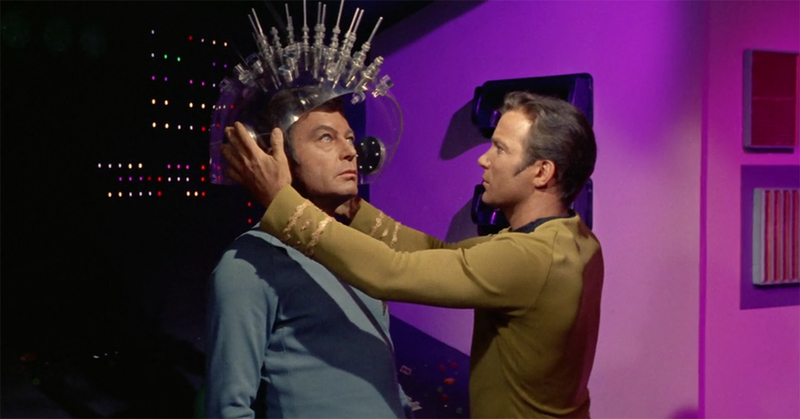 There was one episode where Kirk was in another dimension and the crew had to figure out how to get him back. And a few episodes had Kirk stranded on a planet which left Spock in command. He even was the love interest of a few of the female characters when you were expecting it to be Kirk as usual. The animated series still has to way in, but the meme was usually targeted at the Original Series. Season 3 had the lowest number of officer deaths yet, with only 5 red shirts and 1 blue shirts. Overall though, the count was red: 28, blue: 8 and gold 6. I am curious on how things will go with the other series. So I told a guy at work about this and he's watching all of TNG now. I fell real short this week. With I was supposed to be done with The Original Series on Wednesday and be 6-8 episodes into The Animated Series. I ended up playing Anthem too much and didn't finish the Original Series until Saturday morning. I was able to watch a few of The Animated Series though. The next week will be interesting as I should be able to finish The Animated Series by Thursday but then I have 4 movies to watch, each around 2 hours long. For the last half of season 3, one of my favorite episodes was "Let That Be Your Last Battlefield". I remember this episode fairly well from when I saw it as a child. It opened my eyes to the issue of racism, and how so much hate and biases can be caused by something as trivial as skin color. I also enjoyed "Requiem for Methuselah" and "The Savage Curtain". Both the first episodes of The Animated Series have been fun to watch too. I was expecting a lot of repeated animations and dialog, but so far it is like a compressed episode of The Original Series. Voice acting is pretty good and while it is 70s animation, it does allow for more interesting aliens and effects. This week only one red shirt and one blue shirt died. I have noticed that officer deaths are actually not a common thing in The Original Series. Only a small handful of episodes created this meme. Got through most of the animated series this week with a total of 17 episodes watched. Overall I enjoyed the animated series more then I was expecting. There are many good episodes worth watching. This week some include "More Tribbles, More Trouble", "Mudd's Passion", "The Terratin Incident", "The Time Trap" and "The Ambergris Element". It includes episodes about tribbles, people shrinking, Kirk and Spock developing gills and even getting stuck in a bubble in time. Not to mention Harry Mudd's return. This week is going to be a tough one. I need to watch four movies including The Motion Picture But I should be able to start TNG which should reinvigorate me. The Motion Picture is great if you fast forward through the fan service scenes. There is a tight 90-minute gem hidden in that plodding mess. I just finished it and will be writing up a post about it. But I agree. There were so many scenes that were drawn out flybys of the ship or V'Ger that really just drew things out without adding enough value. Instead of watching Star Trek: TMP, just watch this instead. Took a little longer then a week to get through The Animated Series. I was pleasantly surprised as I was expecting a show more geared towards children, but it really was more Star Trek with real science fiction stories and voice acting from the original characters. The only character that wasn't in the series was Chekov. The voice acting outside of the main characters was actually pretty bad, but there was only a few characters per episode that were not the main cast. They added two characters specific to this series. Chekov's replacement is named Arex who was a Edosian. Edosians are an alien that have three legs and three arms. When you see Arex in the show he is almost always at his station as navigator but you can see an arm sleeve coming out of the front of his uniform. He doesn't get much air time so we don't learn too much about his character. The other is M'Ress who is a Caitian, a cat like alien. She acts as communication officer when Uhura is on away missions which happened a lot more often in this series. While Kirk, Spock and McCoy were still the main characters, they did develop Sulu, Uhura and Scotty more in this series. I think Uhura may have trippled her lines from the original series in one episode alone. 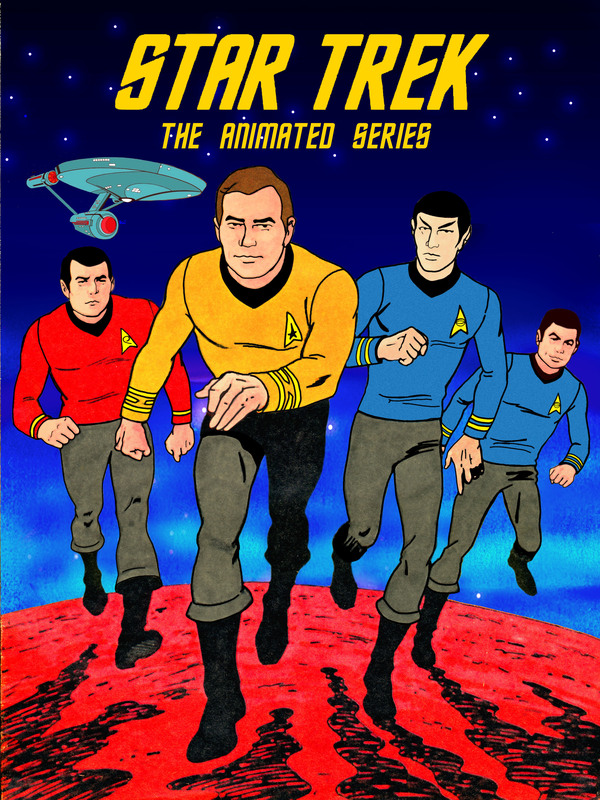 For the red shirt count, nobody died in the entire Animated Series. There are episodes that shine above the rest which I list in my weekly summary, but overall I recommend anyone who hasn't seen The Animated Series should give it a shot. It isn't very long, only 22 episodes at 24 minutes each and it is available on Netflix and Amazon Prime. The characters themselves seemed foreign to me. Kirk was cold and bitter, McCoy was McCoy but a more angry version. Spock was even more emotionless. They try to explain it as he was performing a ritual to purge all remaining emotions but it made him less likable as a character. The tension between Kirk and Decker was weird because Kirk was being a jerk in how he handled everything and while Decker's anger was understandable and even relatable, we aren't really given a good reason why it had to play out that way. I did enjoy the overall story. I remember the basics from when I watched it as a kid, but watching it from a fresh perspective, especially after watching The Original Series made some things more interesting. They finally show the Klingons more as we know them, with forehead ridges and body armor. They aren't exactly like the Klingons from TNG and DS9 but they were close. They also spoke Klingon which was a first. There are things in the Enterprise that were more familiar too. Instead of having a warp engine which was a big long tunnel in Engineering there was an actual warp core, much like the Enterprise D.
I read a book after Star Trek: Generations was released written by William Shattner, where the Borg find Kirk's body and revive it. They introduce the idea that V'Ger was actually assimilated by the borg which means that the Borg don't need to assimilate Spock since Spock did mind meld with V'Ger. This means the Borg already have his uniqueness added to their own. It is an interesting twist with many holes, but there are lots of references in this movie that do fit. They mention that there was a race of "living machines" which the Borg do fit. V'Ger does want to join with it's creator possibly creating a cyborg. In the end it is a theory, but it is interesting to think about. Spock even says "resistance would be futile, Captain" at one point. It is hard to classify the deaths in this movie since the uniform colors all changed and even within the movie was not consistent. The science officer died during transport and that would normally be a blue shirt but I don't know who was transporting with him. Ilia was the navigator which normally wears gold. I am not going to count Decker as dead as they don't explicitly say it. So for this movie I am saying no red shirts died. A deleted scene had the V'Ger probe disintegrate a couple of security guards ("The body armor does nothing!") before assimilating Ilia. And the Borg theory was first floated by Gene Roddenberry after their debut on TNG almost a decade later. Sorry to jump in this thread but it’s a fascinating read. A couple of years back I found myself binge watching Voyager (a lot better than a lot of people give it credit for) and DS9 via Netflix so I can image what you are putting yourself through! It’ll be really interesting to read your thought processes. With regard to The Motion picture, It had a very rushed development. Paramount never intended it be a Star Wars clone but something quite different, but also didn’t think a non Star Wars like film could be successful. It was the relative success of Close encounters that got the ball rolling but they made it in a rush with the script perloined from a TV script, and being actively worked on while they shooting the film. That’s why it’s such an ‘unfinished’ film. They never really got it through any editing process before they had to release it, so I don’t think what people got to see was ever what either Roddenberry or Paramount were intending. I also quite like it to be honest - it was so deliberately not Star Wars I always thought it was an interesting counter point to what Sci-Fi can achieve. 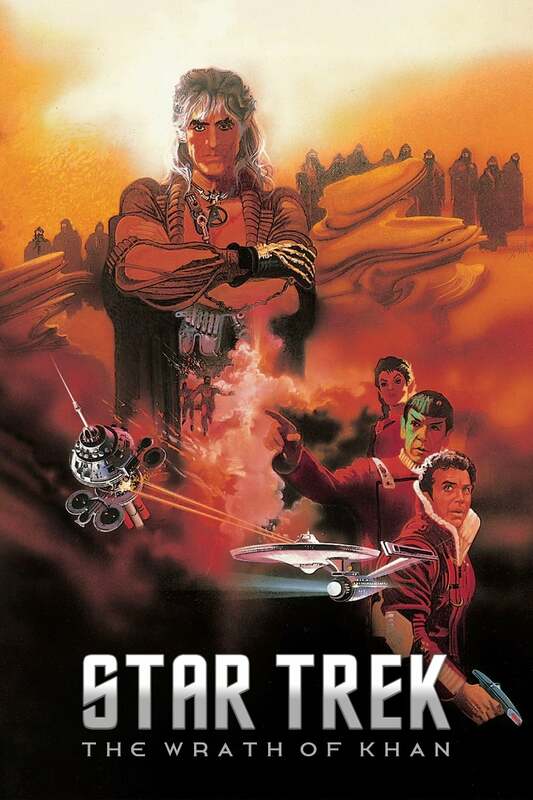 The Wrath of Khan is always said to be the best Star Trek movie ever made. The last time I watched it was over 20 years ago. Watching it again, I have to agree. While it has it's flaws, the characters were more believable and the humor was back on par with the TV series. The amount of emotion that Lt. Saavik showed surprised me. She wasn't as cold of a character as Spock tends to be and even at Spock's funeral she shed a tear. Played by Kirstie Alley I discovered that she is half Vulcan and half Romulan which is odd since they only found out that Romulans were similar to Vulcans 15 years prior in "The Balance of Terror". But ignoring that it explains he reactions in the show and does give her character extra dimension. One cliche that many movies and TV shows use more often then you would think is the revival ending. A death at the end of a movie creates a final piece of tension, usually occurring as the protagonist is beaten or the issue of the story resolved. But many movies don't want to end on a sad note, and will bring back the character, many times using some unexplained, or supernatural reason. Examples of this is the Matrix (both first and second movie), Harry Potter, Hancock, etc. While Spock does get revived, it isn't until the next movie leaving the ending of the Wrath of Khan leaving us all with a real emotional response instead of one that is just taken away with a revival. Khan himself was not as deep a character as I remember. He had a singular focus, getting revenge on Kirk. Even when he had obtained the Genesis device and his second in command tried to convince him that they won and they should leave, he risked everything to get his revenge. I don't know if it was blind rage that was Khan's undoing or just shortsightedness. In "Space Seed" it is clear that Khan is smarter then Kirk and maybe even Spock, and they mention this a few times in this movie, yet Kirk repeatedly out-thinks Khan. I feel it was Roddenberry's way of showing that sometimes experience outweighs natural talent. There is a scene in the movie where Kirk made a tactical error by not following protocol which resulted in Khan in command of the Reliant attacks the Enterprise when it's shields are down. Khan then makes the mistake of asking for all information Kirk has on Genesis which gives Kirk the time needed to find the command codes for the Reliant which he uses to remotely lower its shields. In playing Star Trek: The 25th Anniversary game I used a similar tactic to lower the shields of another Federation ship to transport over. In previous viewings, I always assumed that the Genesis device was used on a planet to convert it into M class as you see in the computer documents. But I noticed this time around that it appears that the nebula that Kirk and Khan was fighting in was what becomes the Genesis planet. This movie will be the only piece of Star Trek content I am going to experience twice. In May, William Shatner is coming to my area to host a showing of The Wrath of Khan which I got a ticket to. Glad you are enjoying it Sorbicol. I liked Voyager and don't fully understand the general dislike for it.